Providing our kids with optimal nutrition that supports their growth, development and health can often be a daunting task. Fussy eating, lack of time or ideas for simple, quick and balanced meals and, on top of that, complicated food labelling, are just some of the challenges that many parents are dealing with on a daily basis. To help you tackle these challenges head on, Nourishi is organising 1-day nutrition seminars in Zug, Zug, Zurich or Luzern, where we will empower you with the knowledge and simple strategies to overcome these obstacles and support your own and your family's well-being through better nutrition. HEALTHY, SIMPLE & QUICK MEALS AND SNACKS. All participants also receive an optional FREE 30-min PERSONAL CONSULTATION SESSION, to discuss any nutritional issues you would like to receive advise or support on. If you have a little one who is a very choosy eater or simply want to help your kids develop healthy eating habits to support their health and well-being throughout their life - this session is for you. When kids start refusing certain types of food and only want to eat a small selection they like (pasta, bread, milk or fruit, anyone? ), we often link this to the kids' stubbornness. But, what if we tell you that fussy eating can often actually be a consequence of a nutritional imbalances in our kids' bodies rather than behavioural issues? In this session we will talk about these very common causes of fussy eating – what they are, why they occur and how you can tackle them through simple changes to your kids' daily nutrition routine. 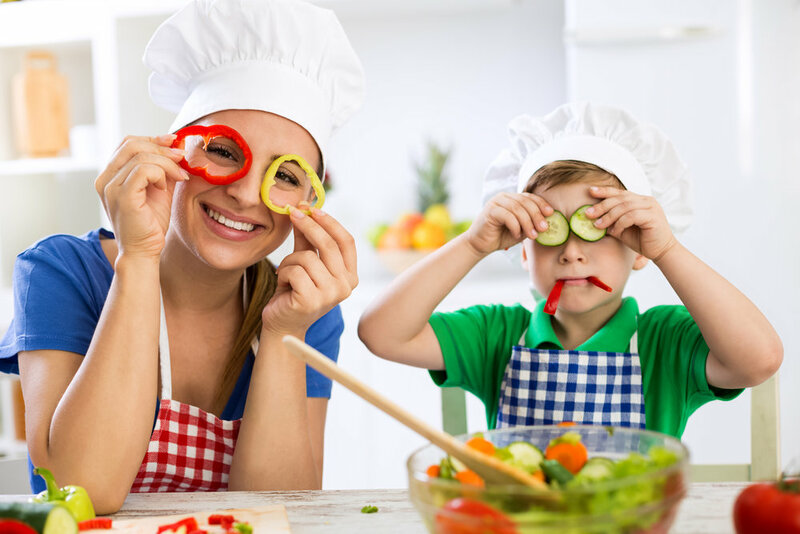 We will also share other strategies and activities that you can use in your daily life to help your kids develop healthy eating habits and make a difference to their health and well-being for life. Our fabulous partner chef Otillie Kunz-Taylor from Nourished (www.nourishedbyotillie.com) will show us how to prepare a few balanced and delicious meals and snacks that even kids will love and that are simple and quick to make. She will also share her tips for how to become a more creative cook to help you refresh your family’s favourite dishes. Otillie will also prepare all the snacks that we will have the opportunity to enjoy throughout the day, as well as our lunch (this is optional - see below). Buying healthy foods is important to may of us, but how do we make sure that we are actually choosing nutritious foods and avoid those that are full of empty calories or even contain harmful ingredients? Food labels can be a minefield and this session will help you develop a deeper understanding of how to read food labels, including how to interpret the ingredients list and nutritional composition of the food - which things to look out for, which things to stay away from and why. We will talk about different certifications (e.g. bio, MSC etc.) and health claims that often appear on the packaging and decipher which ones you can trust and which ones are merely a very effective marketing trick. To help us put this knowledge into practice we will also look at some specific commonly used products and discuss their food labels together during the session. CHF 215 per person. Bring a friend and receive a 10% discount on your registration fee (please let us know at the time of booking). Otillie will also be providing lunch for participants, for an additional fee of CHF 20 per person. If you wish to take advantage of this offer, please let us know at times of registration, including any food sensitivities that we need to be mindful of. All participants of this seminar can also take advantage of an exclusive, FREE 30-minutes personal nutrition consultation session, to discuss any specific nutritional issues that you would like advice or support on. This session can be arranged at a convenient day and time after the course and can take place either in person or over the phone/Skype. Because of the interactive nature of the course the spaces are very limited, and we encourage you to book your place soon to avoid disappointment. We will be in touch shortly with further details on the seminar and how to pay and look forward to meeting you in person soon.